Happy Friday! I’m peering at you thru the miasma of yellow-green-pine-pollen-plogged eyeballs! The world has become a yellow fog here in the South. Just about the time the temps rose back into the I-want-the-windows-open range, too. But you just can’t do it – or that crud will be all over everything. So…we hunker in our “air tight pollen resistant” houses and glare resentfully outside. Waiting. Waiting. Hoping there’ll be a few days – weeks would be better – between the end of Pollen Season and the start of Hot Humid Season. Stampin’ Up! A Little Something Simple for Saturday! A very cool thing happened to us this morning. As Wayne and I were coming back to the house after feeding, we were almost to the garage when a slight commotion caught our attention. We looked towards the woods on the edge of the driveway and saw TWO hawks swooping and diving thru the tress – apparently either embroiled in a bit of a fuss or “on a date”! One continued thru the trees and away, but the other hawk landed on a tree so close I could touch him. Well, with my extra long Inspector Gadget extending robot arm – but, you know what I mean. He and I looked right into each other’s eyes. I blinked. He left. He was done with me. So, we’ve (Wayne and I, not me and the hawk!) decided we need to wear a Go-Pro on our heads whenever we leave the house and it needs to always be on and recording. Cause we never know what we’re going to look up and see….a deer and her spotty child….a squirrel relaxing in the path with an apple in his hands….a hawk flying by with a snake dangling (an experience equal parts “ooooooooh” and “eeeeeeeeeww”! )…..a hummingbird hovering right in front of our faces…a spotty deer kid racing madly around the pasture just because she can and she’s really fast and EVERYONE NEEDS TO SEE! We’re surrounded by wildlife and wish we could get them on tape. We probably won’t do that. So don’t be expecting video of snake-carrying-hawks any time soon, okay? A second miracle occurred today to me – not to Wayne. At one point this afternoon, Wayne said “I’m going to go mow – you need to do your card and blog, don’t you?” I almost fell over! Direct acknowledgement that I’m trying to make this into a going concern! Whoo-hoo!! 😉 So….here I am! It occurred to me when I sat down to make the card that it had been a little bit since I’d done a card that only needs one stamp set. Like I promised I would. I try to keep my promises, but I’ve failed on this one. You guys need to remind me, okay? Stampin’ Up! Vintage Leaves And Many More Send Get Well Wishes! For today, I have a share that’s so in my wheelhouse that I might have made it. Stampin’ Up! Color Me Irresistible and Tin of Cards say a Vintage Patriotic Thank You! Well, this morning a very very cool thing happened to me. Possibly the coolest thing that’s happened to me in….well, a really long time! After I got done with the horses this morning, Wayne and I were sitting on the porch behind the barn, enjoying the 2.3 minutes that remained before the heat cranked up from yucky to miserable. He was just sitting drinking his coffee and I was buried in my phone looking for a recipe. All of a sudden he says – kind of quiet-like “Mare (that’s what he calls me – I assume it’s a shortening of my name and not a comparison of my hindquarters to those of my ponies…)” “Mare, there’a a hummingbird”. I look up and there, indeed, was a hummingbird! About 2 feet in front of my face, hovering there with his little wings going so fast they were a complete blur. He looked right at me for about 20 seconds and then he was gone. I’m sure the feeders are filled and fresh, so…not sure what he was after, but – I’m so very glad he stopped by for a chat! It. Was. Way. Too. Cool!! He may have been telling me thanks for the feeders – I’ve got two that I keep going this time of year. I’ve even started making nectar – after having read that the commercial stuff is bad for them. Or perhaps he’s a teenager-hummer and he was saying “hey lady! What’s with the “health” food?!? We LIKE the commercial nectar with the chemicals and the preservatives and the Red Dye #2!! Bring back the junk food!” 😉 I don’t know. I’m just going to treasure the moment! Why do I tell you this story, you ask? Well, right now, my MasterCard is pulling a “cat about to go to the vet” routine in my wallet. Trying to make itself as tiny as possible, in the hopes that it will be passed over….. Tomorrow is the start of the SU! Demonstrator Pre-Order for the 2015 Holiday Catalog! Whoo-hoo-hoo-HOO!! I’ve tried so hard to not make a list as long as my arm, but….I’ve been a little less than successful, I fear. My husband would be relating to my MasterCard’s feelings. If he only knew…shhh….let’s just keep this a little thing between you, me and the blogisphere, shall we?? This is horse hockey. Completely. Total baloney. Which is why we were pretty surprised to receive an e-mail today from Comcast thanking us for purchasing WWE-something or other on Pay Per View. I don’t even know what WWE stands for – I mean, I know that one or the other of the “W’s” must be for “Wrestling”, but that’s about it. So, how (why?!?) would I have ordered it? And – it appears that I ordered it ordered it 7 times. In a row. Every 2 minutes. For a cool $12.95 per viewing. Comcast was stumped. Still is, apparently. It’s a mystery (above and beyond the mystery of why anyone watches WWE in the first place – no flames, folks, if you watch WWE, it’s all good. But – could you tell me what the other two letters stand for? 😉 ) and is likely to remain so. But you can bet we’ll be keeping a CLOSE eye on the bill!! All this excitement was taking place whilst I was building the card to share with you today. I was working on my card and Wayne was on the phone for almost an hour. He’s really good at dealing with the folks in customer service – he just doesn’t quit asking questions until he’s got every answer he wanted. Me? I usually take the first answer that sounds plausible and drive on! Stampin’ Up! Farmer’s Market Thanks! 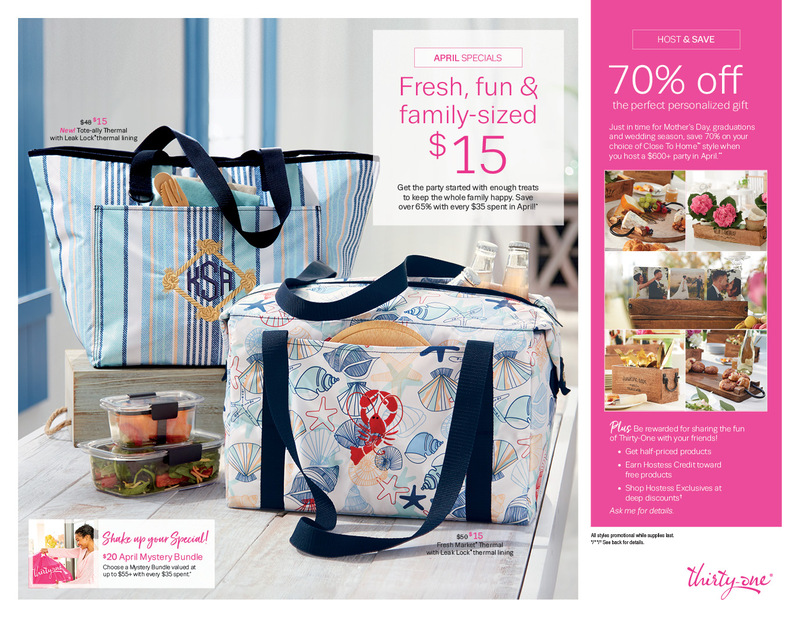 And Holiday Catalog Shares!! Well, last night, we got home from having dinner with some friends. It was 9pm and change, which is way WAY past my bedtime (or at least very VERY close to it!). The heat outside was ridonkulous. That’s several steps worse than ridiculous, just FYI. So, we stepped into the kitchen, anticipating a quick shower and bed. Pretty normal (even if we ARE still thinking Buck’s going to meet us at the door…. 🙁 ), right up until I got 2 feet inside and realized “It’s not cool in here!”. Which I immediately pointed out to my husband, just in case he hadn’t noticed it – he had, but not for several nano-seconds after I did. Men may just not be as finely attuned to the temperature as women. Just sayin’. Quick investigation showed that the air coming out of the vents was tepid. At best. The thermostat showed the inside temp to be at 77. It was set at 73….. you see the problem, yes? So, we were up until midnight, with Wayne working on the AC (thankfully our neighbor friend who’s been doing HVAC for 40 years was still awake! ), while I held very still inside and stayed awake (barely) in a wifely show of solidarity (and because no way could I have gone to bed with it that warm. No. Freakin’. Way). Fortunately, he got it working and the house cooled down quickly enough for us to finally go to sleep – but it was a short night for us!